Public Sphere Reconsidered: theories and practices is a book that compiles two-day conference, which took place on 19 and 20 May 2011 at University of Beira Interior in Covilhã, Portugal, where the concept of public sphere was analyzed and debated by international recognized experts and researchers from around the world. 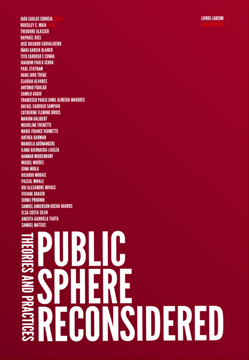 From the most exciting texts about the idea of public sphere to the relations between journalism, ICTs, rhetoric and public sphere, this book presents texts with a cross-disciplinary approach and a comparative methodology regarding different related issues and new tools of communication. Public Sphere Reconsidered: theories and practices will be useful to students in media and communication studies, and European studies, as well as for those studying sociology and political science.